The western pond turtle is a small to medium freshwater turtle, found in ponds and streams. This reptile is generally brown or black in color on the upper shell and yellow and black on the lower one. They are found in the western coast of the United States and Mexico. 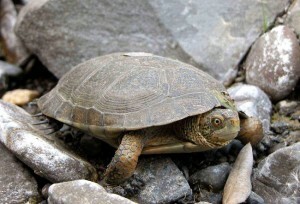 The Canadian Species at Risk Act drafted in May 2002 has identified this turtle as having become extirpated in Canada. Color Dorsal side: Light olive or dark brown. May or may not have dark reticulations. 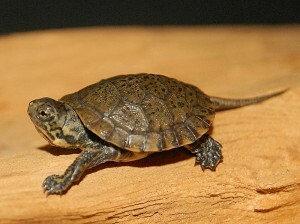 Western pond turtles are shy and wary; they tend to hide in the water the moment they sense trouble. They also protect themselves by retracting to their tough shells the instant that they are disturbed. 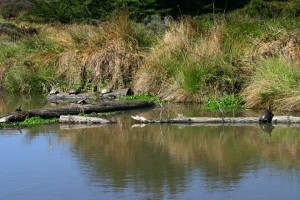 The turtles often take cover under vegetation or large stones that are immersed in water. 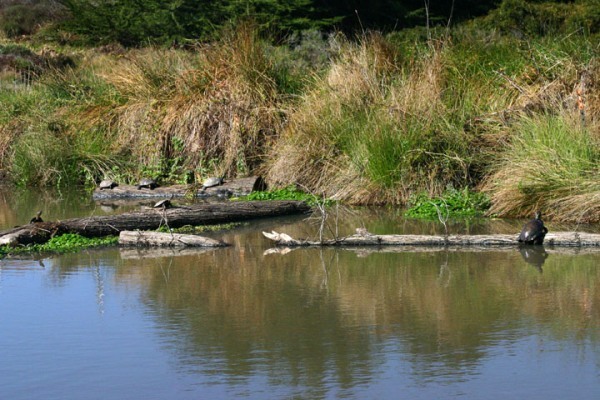 They like to live in still waters with some plants in the embankments and generally stay away from rapidly flowing streams. The members of this species assemble in places with logs, boulders and fallen trees for basking. It exposes them to sunlight that helps them get rid of parasites. 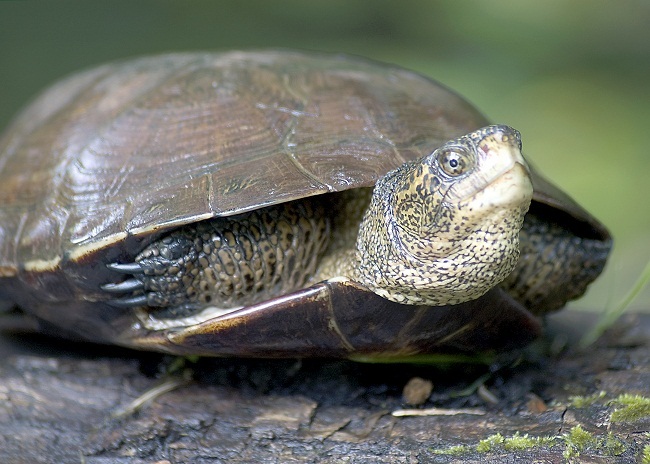 Western pond turtles of the northerly areas hibernate at the bottom layers of ponds or inside burrows in the mud. 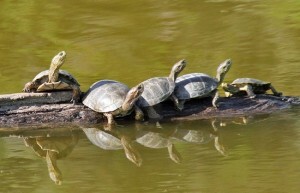 However, the turtles inhabiting the southern areas stay active all through the year. Western pond turtles mate during spring and probably also during fall. The nesting process takes place from May to July. During courtship, the males scratch the front of the female’s carapace with their forelimbs. After this, the female raises her rear end, and mating takes place under water. A majority of mature females reproduce every year with some of them laying two clutches every breeding season. During the onset of summer, many females lay their eggs in the nests that are constructed under the mud and near a source of water. For building a nest, a female will find an appropriate place with dry mud, less plants and usually facing the south. Urine is used to moisten the soil, and the hind legs are used to dig a hole. After this, it will lay a clutch of around 3 to 13 eggs, fill the hole with plants and dirt, cover it with a layer of wet soil and leave the eggs to incubate. This entire process will take 2 to 4 hours. 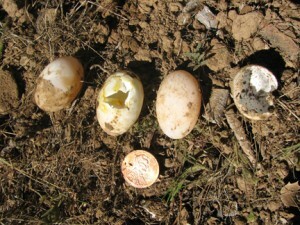 The eggs will hatch after an incubation period of 3 to 4 months. They come out of their nests during fall or emerge in the following spring after spending the winter in their nests. 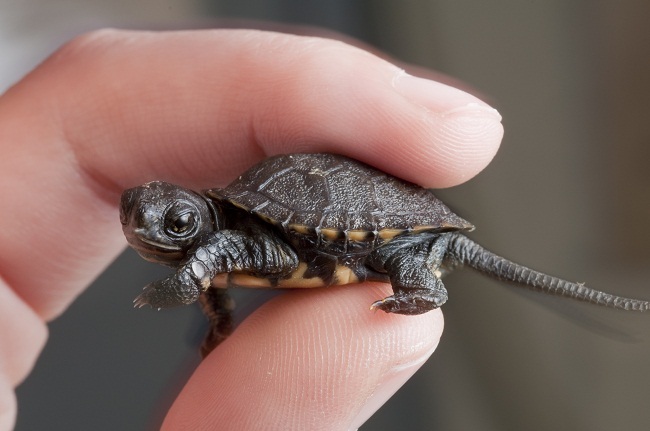 The baby turtles are independent and search for food using their survival instincts; however, many of them fall prey to predators and don’t complete a year of age. The juveniles grow slowly in cooler areas and reach sexual maturity after completing eight years of age. In warmer areas and also in areas where they get better nutrition, they mature quickly, making them ready for breeding in half the stipulated time. 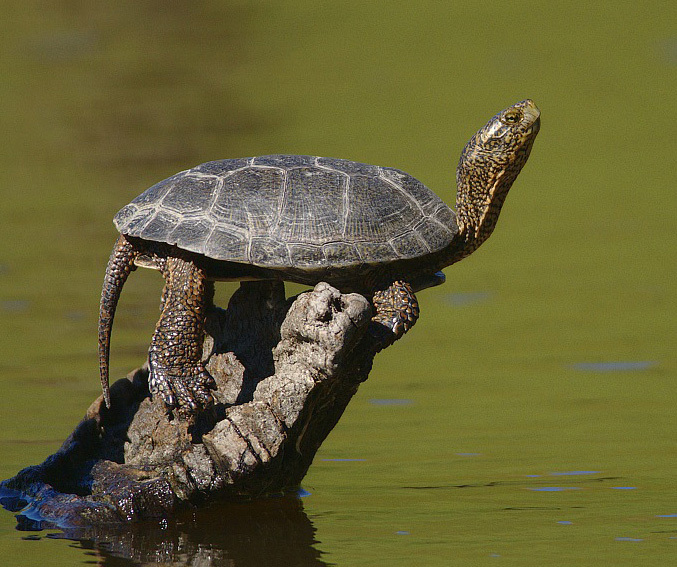 Western pond turtles have the ability to breathe in oxygen through their skin. This helps them survive with lesser amounts of oxygen during dry spells when they remain motionless on the soil. In addition to this, their tough carapace and wary nature protect them from falling prey to predators. 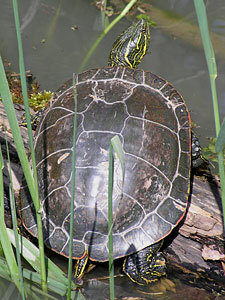 The body of the Western pond turtle including the carapace as well as the softer parts has a marbled pattern. This is encapsulated in the Latin word “marmorata”. 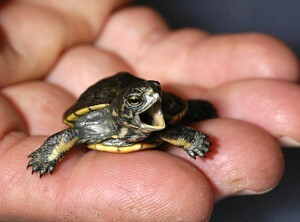 The gender of the baby turtle depends on the temperature at which its egg hatches. If the temperature at incubation is below 86 degrees Fahrenheit, then it will mostly be a male whereas if it is above that temperature then it will probably be a female. One can make out the duration of time they have spent in the water by examining their body shape. Published on July 17th 2015 by admin under Coniferous Forest Animals.